This Portrait & Message was presented to me by The Angels of The Light as a Gift for YOU! “We say here to engage fully in the self-awareness of your journey. Discover who you are and gain in a self-empowerment. With an intention to open a connection to our Angels does also open our curiosity and this carries a path to a world change in the power of HOPE and PEACE. The PASSION chosen is a gain with optimum CLUES and this does engage in the momentum of leaps of faith and soul growth. The MISSION chosen is the envelope to a re-discovery of the true self-designed adventure. 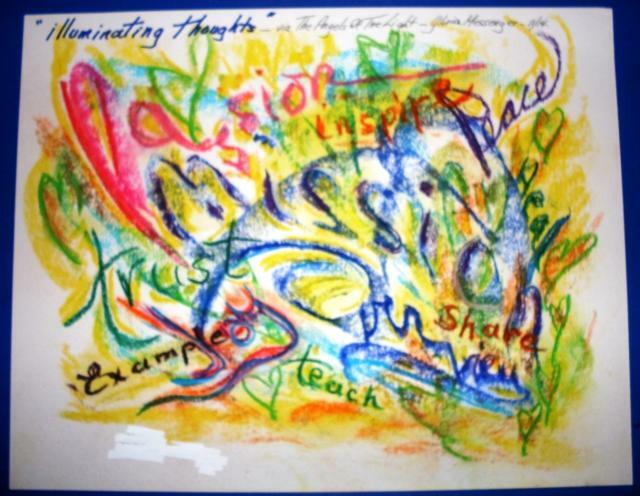 The OVERVIEW MISSION opens the throttle to propel the intention and drive the journey engaged. Did you choose Share, Example, Inspire, Teach or Heal? Further understanding is offered in Gloria’s book received in just 33 days. Copyright © 2007, 2014 Gloria Messenger. All Rights Reserved.